Life is very much about experiences. From an incredible meal at a much-loved restaurant to a perfect vacation spot nestled in the rugged mountains or along a sandy coastline, we strive for moments that stand out. It should come as no surprise those seeking help with their heating and cooling needs would want the same thing from their HVAC company. Okay, maybe a condensing unit repair isn't exactly sipping an umbrellaed drink somewhere on a beach. The experience for the client, however, can mean just as much. After all, you are addressing issues that directly affect a vital everyday concern of theirs - how comfortable they are in their home. Resolving the problems quickly and professionally will make you a hero. It can also create a long term client and plenty of future referrals. What does an amazing customer experience look like? More importantly, how do you provide that experience to your customers consistently? From the first call for service to the final follow-up and beyond, these are the six critical steps to make your customer's journey a rewarding one, even if it doesn't end at the base of a snow covered mountain. The first impression is one that lasts. That very first call, email or other inquiry you receive from a prospect sets the tone for the relationship the customer has with your company. So make it count. You rarely get an opportunity to correct a poor first impression. The best way to avoid a bad initial encounter is to make sure you have a great one. Pro Tip: Don’t immediately place new callers on hold, even in the midst of a chaotic part of the day. 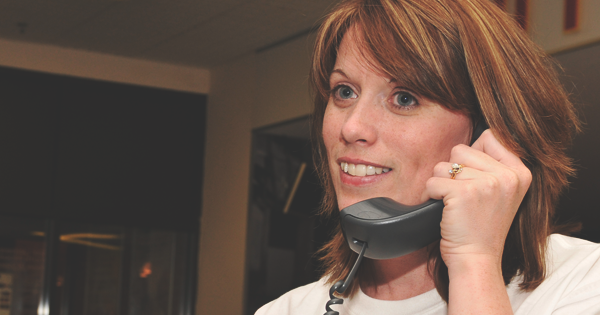 Make the time to speak with and understand a caller's concerns; don’t rush them off the phone. If you or your team are overwhelmed, that demand might be justification for more help (with the costs more than covered by all of the new business). Answer emails within 12 business hours. If that proves a struggle, common responses to common inquiries are okay as long as the reply is personalized. Sometimes, the most straightforward need of the customer is just to be acknowledged. Monitor social channels: if you utilize online chat or social media as a means for consumers to interact with your company, monitor those channels regularly. Pro Tip: Regardless of how you structure your first line of contact, the key to growing your business is the ability to respond to it. Few if any individuals enjoy waiting around for nothing to happen. You don’t like it. Your team doesn’t like it. Most of all your customers don’t like it. Internally, a well-run operation dedicates itself to managing a tight and efficient schedule. You have your service area mapped, your techs accounted for, assigned and en route, and an understanding of the day's workload. Wonder how you can manage your HVAC business schedule and dispatch more efficiently? Housecall Pro has a solution. Take it further and make certain that all of the appointments during that day understand all of the information as well. When scheduling a call-up front, give the customer an accurate window of when a tech will arrive. If you want to rise above all other providers, make the window as small as possible - two hours, instead of four or, if you're ambitious, try for one hour, instead of two. On your way? Let the individual know when you're coming. If a job takes longer than anticipated, let the next appointment know. A lot of overheated clients can be cooled off if someone keeps them aware of their place in line. Even better is that many individuals are satisfied with a text. When you get there, don’t waste time at the job either. At that moment, the customer is the focus - not a personal phone call, not a break for a snack, not a back and forth with dispatch on non-related concerns. Yes, your company's time is valuable. The client's time, however, is even more so. Don’t take that for granted at any point in the relationship. If making repairs to heating and air conditioning systems were easy, everyone would do it, right? For many homeowners, the ins and outs of HVAC are indeed a foreign language. They understand the basics - hot, cold, and some of what’s in between - but that knowledge is lacking should a minor concern become a major repair. Employ appointment schedulers to help clients get to the heart of their concern. Train techs to aptly explain to homeowners the steps being taken to resolve their problem. Pro Tip: Never let a tech leave a job without walking through the final repairs with the customer. Communication isn’t limited only to the service call, repair job, or follow-up (which we cover below). Engaging with customers - both current and future - means developing an ongoing relationship. Your website is the perfect medium for this. With informative blog posts about all things HVAC and videos that present heating and cooling how-tos or product demonstrations, you can extend your brand beyond its primary service function. Not only will this shine a spotlight on your company’s expertise, but it will also inform consumers that you’re more than just basic service. Yours is a base of knowledge, dedicated to educating owners about one of the most vital systems in their home. 4. Would You Do Business With Your Business? It's a good question that many companies do not ask enough. If you were someone in need of a system tune-up or replacement of a major component, would you hire you? Is your office and sales team friendly and informative, and quick to respond to clients? Are your service technicians professional and courteous with clean, crisp uniforms and trucks that are kept equally immaculate? Do you ensure that all information and promotional materials - website, brochures, newsletters, mailers - are polished, error-free and convey positive messaging? When thinking about how your HVAC company presents itself to clients, understand the positive message you want to convey is a collective one. To achieve that cohesive image, everyone must be on the same page. Make sure your office team (and your field team, too) are friendly and informative and know where to get answers for customers when issues come up. Your techs often have to work outdoors or in hot, dirty attics or crawl spaces. Have them keep extra shirts handy, so they can show up to each job as if it were their first of the day. Of course, along with the uniforms, the tools your company use should also be kept clean and are in working order ready for any job. Your equipment may not be new, but there’s no reason for it not to look and perform that way. Customers notice that kind of thing. More importantly, those are the companies they want to do business with. So when people do decide to use your heating or cooling services, do you make that engagement easy for them? Technology has simplified our lives beyond measure. How we do business is perhaps one of the most profound areas of innovation. Everything is designed to make life easier. If you hope to generate and convert leads or keep customers coming back, you must offer tools that uncomplicate how they engage your company. Appeal to mobile users by allowing them to set appointments from their phone. Streamline your estimating and invoicing processes by going paperless. Enable field techs to accept payments via tablet or smartphone. All of the above functions can be achieved faster and easier with Housecall Pro. Try Free for 14-days. Yes, there will be a segment of client angling for old school methods. More and more though, if your company isn’t looking towards the future and employing new and more advanced efficiencies, it will be left behind. When you finish a job, it's easy to forget it and move on to the next one. Don’t. Happy, satisfied clients are your greatest resource, so stay connected to them. Whether it be a call or an email, touch base with the client between 24 and 48 hours after service (never let it linger more than that). Housecall Pro helps facilitate this with automated postcards and emails. If a client had a great experience with your HVAC team, a timely follow-up would put them further over the top. Aside from checking in on them, it’s also a good idea to mention referral rewards, should they know anyone else requiring service. More than just an immediate after service check-in, keep touch with your clients throughout the year. Information-packed newsletters and promotional mailers (with discounts for valued clients) keep your company and the homeowner’s needs front and center. It doesn’t take as much as you’d think to separate yourself from other HVAC competitors. Much like those vacations we mentioned in the opening, customers are looking for reasons to love your service. They don’t just want their heating or cooling problems solved, they want to be wowed and impressed, and tell others about their remarkable experience. Being good at what you do no doubt helps. However, being great with those you do help is what will make your business shine above all others. It will also provide your valued clients with more than just a service, but an experience.